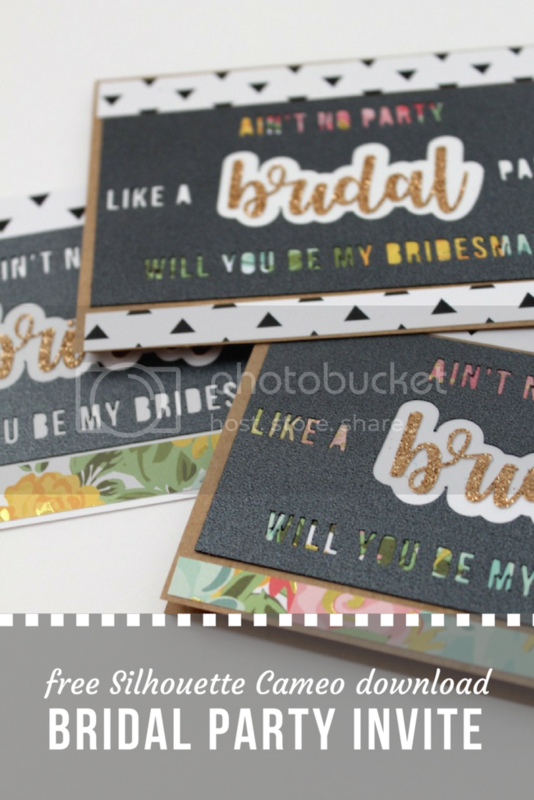 When it was time to ask some of my favorite people to be in my wedding, I knew I wanted to send them cards to do so. This was the perfect chance to practice using my Silhouette Cameo! I tried out several styles for bridesmaids, house party, and maid of honor. Here's hoping they were a hit with my gals! Download the .studio files here. It's a very simple design, but I thought I'd share. Download the .studio files here.